Gene Tools LLC shipped approximately one ounce of product and expected to gross $4 million in sales. The product consists of molecules of redesigned genetic material. This material is being used by researchers to help identify the function of some of the tens of thousands of human genes whose codes have been identified but whose purpose is as yet undiscovered. 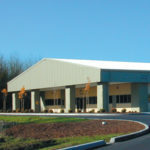 The Philomath, Oregon based company also devotes substantial resources to researching ways to apply the technology therapeutically to fight viruses that cause diseases such as AIDS and certain cancers. Industrial espionage was the main concern of Dr. James Summerton, president of the company. He needed clear restrictions on which employees had access to which labs and information. “We break up the activity so that no one person can access all of the information; we do not want the information out until all of the patents have been filed,” says Summerton. Gene Tools is using the CyberLock system for part of their solution. They use CyberLocks on padlocks, doorways, and cabinets. Controlling access to the cabinets is of particular importance because that is where the lab notebooks are kept. “The research lab books have most of the information, but they are well segmented. Chemists, biologists, and production workers do not have access to each others’ books,” explains Summerton. CyberLock provides a high degree of security for some of the world’s smallest, most valuable secrets. "If a molecule goes awry... we track who was in the room at that time. If research information has been tampered with . . . we can get a report of who had access to that information."